Maybe it’s not a blog post I need to write. Maybe it’s just putting down all the various thoughts running through my head. I prayed….maybe not the right prayers…I sought…but didn’t really know what I was seeking or who for that matter I was asking these things of. People I was surrounded with called him God. I was a catholic, I didn’t know this God, I knew a religion. Growing up, I knew how to go to a Priest and report my sins as if a human was truly able to absolve me of my actions or remove any guilt I may have had. Don’t get me wrong, I’m not trying to crap on religion, I’m just saying, this is what I knew. It was very regimented, being a Catholic. You had rules, you said prayers, you knew about such things as mortal sins and how you never wanted to be guilty of committing a mortal sin. Don’t take communion until you go to confession if you have one of those mortal sins you’re guilty of. Divorce? Are you crazy? Birth control? I don’t think so. Turn the other cheek, confess, pray, sit, kneel, stand, the signs of the cross, the rosary, the apostle’s creed, Hail Mary’s, Our Father’s…I mean you just knew, like a lemming what came next. Steps to your salvation almost as easy as 1,2,3 as long as you played by their legalistic rules. Doesn’t sound very personal does it? Sounds more like God took a big cookie cutter and just cut us out of the same mold and then plopped us down for amusement. But, that’s not God. God is not a religion, He never was, nor will He ever be a religion. He’s not Catholic, He’s not Muslim, He’s not Mormon, He’s not Episcopal, or Baptist….but what He is, in all those religions…is there. He is the great I am in the great right now, wherever you are, whatever you’re a part of, whatever you’re thinking, feeling, trying to run from, trying to hide behind, wishing for, praying about, stuffing down, celebrating…there is nowhere that He is not. He is everywhere and He made you and placed you, right where you are for His purposes. And He promises…He will never leave you nor forsake you. Right now, He’s holding His hand out to you, giving you the choice to either take hold or walk away. Looking back I can see the people He placed around me trying to get me to notice Him, but I didn’t know to notice, and I was too hardened to even care. But, it was easier for me to reflect on my religion over thinking of a relational God who cared. There are many things your religion can tell you about the way you should live your life according to their rules but there is only one Bible, the very Word of God that shows you, the Way, the Truth and the Life. No religion can ever grab a hold of your heart the way knowing God can. No religion can change you, because religion didn’t make you. God made you. He’s the reason or should be the reason for every single step you make, because He is in every single breath you take. I don’t know what your path looks like. I don’t know why your life doesn’t look how you think it ought to look. Maybe it’s because of the choices you’ve made, maybe it’s because you need to walk in obedience, or take a step of faith or maybe it’s just simply because you’ve taken your hand out of His. Maybe you think God left you, or is angry with you, or you’re angry with Him for taking things or loved ones from your life. Maybe you think you’re too broken, too far gone, too unworthy, too dirty, too (insert your word here), but I can assure you, you are none of those condemning thoughts because Jesus already took that nail for you. Why? 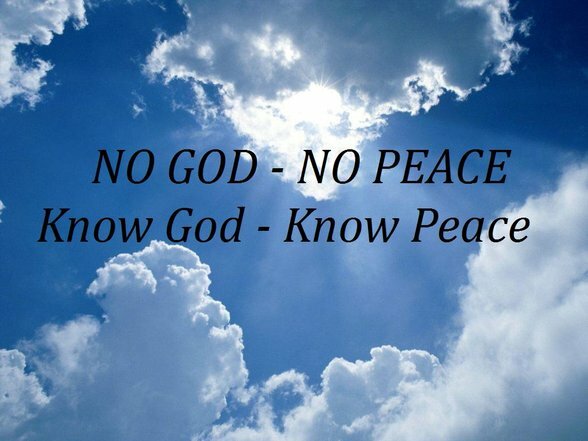 Because it is written, “For God so loved the world, He gave His one and only Son, that whoever believes in Him shall not perish but have eternal life.” ~~John 3:16 (NIV) It is not written, For God so loved the world He sent His religion…..because He’s not a religion. God is so much more than a religion. He is the very essence of your being, your beating heart, your breath, your life. And He has such plans for you. Religion can’t make promises, but God, oh yes my friends…God makes promises. His Word is living and active and just as relevant today as it ever was, so yea, I’m all about losing my religion and holding onto His promises, His hand, and walking into His vision because He promises it will not harm me, but indeed gives me hope and a future. This is one of the topics over at Proverbs 31 Blog Hop for our on-line Bible study Made to Crave by Lysa TerKeurst. There were more, topics but this one reached out to me as soon as I read it. My first thought was a snide….yea, right, sure..let me get right on that #peace with my body train. Mmm hmmm. Pure disdain in that first thought. But then I switched gears and thought positively, yea, right, sure…let me get right on that #peace with my body train!! Cuz this is one mentally tired girl from the constant battle in my own head that my body is not good enough!! When I think of the word battle, I think of a fight between opposing opponents. My only opponent is my mind. I’m literally beating myself up. It’s like when my brother would take my arm in his hand and proceed to hit me in the face with my own hand, saying “stop hitting yourself.” If you’ve ever had that happen, you know what I’m talking about and no doubt just got a little annoyed. For as long as I can remember, I’ve been losing my own battle because of what? Numbers on a scale that don’t reflect what I want? Societal standards of skinny, curvy, fat, or obese…pretty, beautiful, gorgeous or that horrible word ugly? And those are just general areas. I could totally dig deeper and start picking on features…like cellulite for example. Every single one of those things is superficial. And seriously, who gets to make those standards and then label me anything less than who I am? Maybe it was my mom, who to this day, beats herself up and passed it down onto me. Maybe it was the boys who didn’t choose me or the girls who laughed and talked behind my back. Unfortunately, that’s the type of stuff that can take up permanent residency in a place where it doesn’t belong and in reality, no one but me has the power to make myself feel less than who I am. Lysa wrote in her book “I don’t know a woman alive who is completely happy with her body.” I thought about that and like her, I can honestly say, in my circle of friends not one of them has ever said…I love the way I look!! That’s so sad..isn’t that just so very sad? Sadder still, even when I was “skinny,” I called myself “fat.” Now that I’m bigger, I wish I was as skinny as when I thought I was fat. My brain is tired of this insanity!! The mean girl in me that mentally abuses myself has lived with me for far too long. It’s time I looked her straight in the face and told her get out!! You’re being evicted and there’s no other space for rent!! There’s a new landlord in town and she’s at #peace with the body God so very graciously and lovingly gave to her. You see, God is all that and a bag of chips!! He calls me by name, and says “My Grace is sufficient for you. For my power is made perfect in weakness. Therefore I will boast all the more gladly about my weaknesses, so that Christ’s power may rest on me.” (2 Corinthians 12:9-NIV) So any weakness I have, I’m covered by His power. That power by the way, raises the dead to life. Just sayin’ So now I can answer that question of how I can be at #peace with the realities of my body. In my own strength, I will never have peace, but given His strength, His wisdom, His love, and His truth, I have all the #peace I want. I know that if #peace is gone, then I moved. And I know if I moved, He is still there…always and forever….there!! 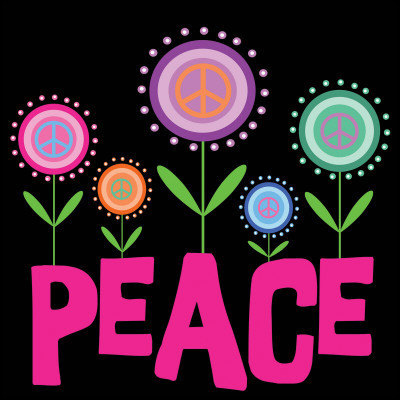 Go getcha some #peace and while you’re at it, grab onto the Love and share Him with everyone you can….including yourself! !